The severe flooding parts of the country have experienced over the last couple of months had catastrophic effects on human health and property, and the aftermath can be just as devastating. 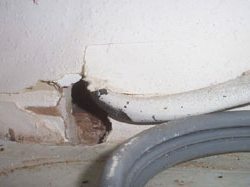 In the days and weeks following a flood, pest problems can explode and compound the difficulties and challenges associated with recovery and rehabilitation. An abundance of water and refuse are the two biggest factors allowing pests to flourish. 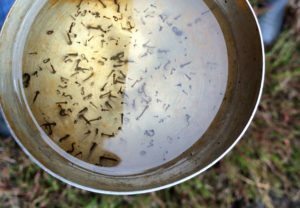 This is especially true for flies, including mosquitoes and filth flies, but also impacts cockroaches and rodents. Inspect your premises for damage that will allow pests or rodents entry into structures, or allow wildlife onto the property. Performing exclusionary measures is an important first step and should be prioritized accordingly. Resources may be limited, but remember that temporary exclusion measures are significantly better than none. Keep doors and windows closed. All openings to the exterior should be fitted with size 30, or smaller, mesh screens. Eliminate areas and items that hold standing water such as empty bottles and cans, tires, buckets, flower pots, cups, and bowls. Any place that can hold water half an inch deep is enough to allow mosquitoes to breed. This should be done at least weekly. Locate sources of trash and organic matter on the property and place them in sealed trash bags, tightly fitting containers, or dumpsters. 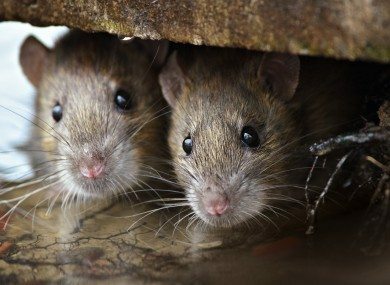 Rodents, cockroaches, and filth flies take advantage of these resources and flourish in their presence. If there are animal carcasses or other areas that can’t safely be dealt with, make a note of their location and share the information with your pest management provider so treatment efforts can be most effective. High humidity is a significant factor in allowing pests to thrive indoors. When possible, use dehumidifiers to reduce moisture. Personal protection is crucial, too. Wear long pants, long-sleeved shirts, and closed-toes shoes, and protect your skin from biting flies by applying an EPA-registered insect repellent containing DEET, picaridin, IR3535, or oil of lemon eucalyptus. Following the above steps can help minimize the threat of a pest infestation at your commercial facility or restaurant in the weeks and months after flooding. However, if you are facing an infestation do not hesitate to contact Copesan at 1-800-COPESAN for assistance.